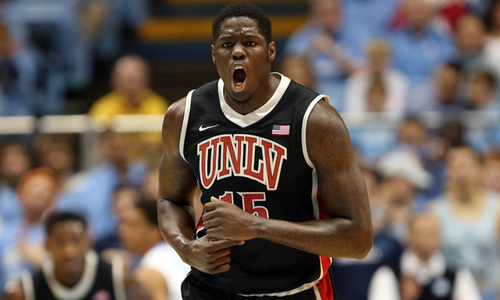 In a rather shocking move, the Cleveland Cavaliers made UNLV forward Anthony Bennett the first overall pick in the 2013 NBA Draft. The announcement from David Stern was met with a mixed reaction from the crowd, and even commentators. ESPN’s college basketball analyst Jay Bilas had Bennett ranked sixth overall on his board. Many had speculated that Kentucky’s Nerlens Noel would be the top overall pick despite his ACL injury. In one year at UNLV, Bennett averaged 16.1 ppg and 8.1 rpg. He is the highest drafted Canadian basketball player in NBA Draft history. Bennett will now play alongside young stars like Kyrie Irving and Tristan Thompson.